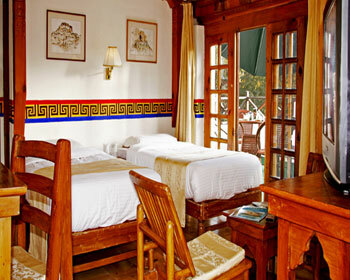 Located in Ladakh, Hotel Dragon is a class category hotel and one of the oldest hotels of Leh. 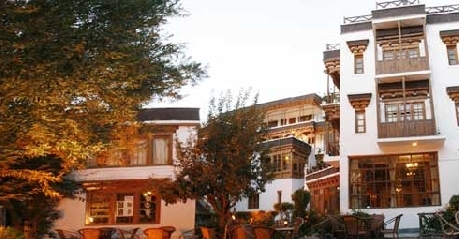 Built in traditional style, the hotel offers hearty and warm welcome to all guests coming from all around the world and believes in providing personalized Ladakhi hospitality. It also offers a number of modern facilities including safe deposit, laundry services, doctor on call, power backup generator, 33 well designed rooms and suites, car rentals, gift shop, lawns and gardens, in house multi cuisine restaurant, conference facility and internet accessibility. 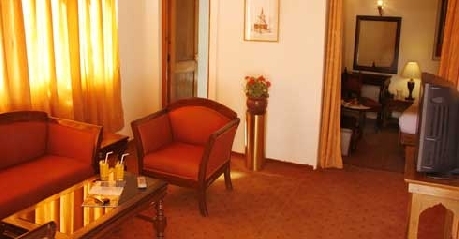 The hotel offers standard rooms that are well equipped with various modern amenities including a large king sized bed or twin beds are available on request, direct dial telephone with intercom facility, LCD TV with satellite connection, wooden flooring, a ceiling fan, 24 hour room services, daily housekeeping services, separate work desk, attached bathroom with running hot/cold water and a separate shower area, heaters are available during winters, and a private sit out balcony with either a gardens view of mountain ranges view. 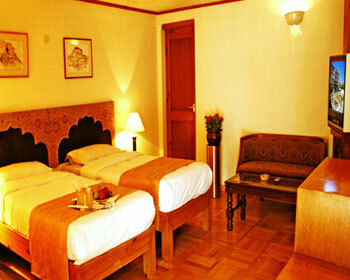 The hotel offers spacious deluxe rooms that provide complete comfort and a peaceful environment to the guests. 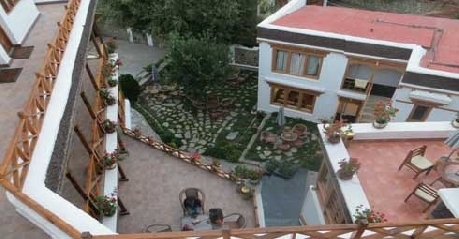 The room features a large king sized bed or twin beds are available on request, attached bathroom with running hot/cold water, separate shower area, LCD TV with satellite connection, wooden flooring, daily housekeeping services, separate work desk, direct dial telephone with intercom facility, 24 hour room services, heaters are available during winters, and a private sit out balcony that overlooks the snow capped mountains view. 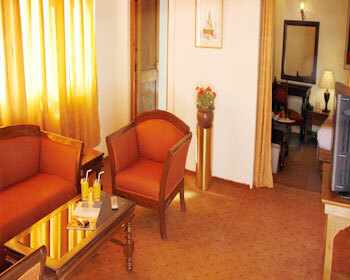 The hotel offers luxurious suite rooms that feature its own living room, master bedroom and a small dining area. 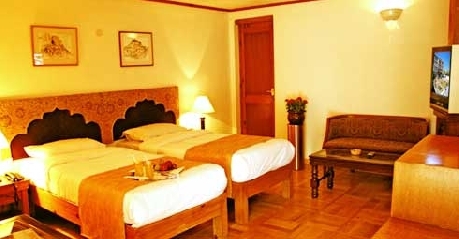 The bedroom of the suite features a large king sized bed or twin beds are available on request, LCD TV with satellite connection, direct dial telephone with intercom facility wooden flooring in the bedroom, daily housekeeping services, separate work desk, heaters are available during winters attached bathroom with running hot/cold water, separate shower area, 24 hour room services, a separate living room with a sofa set and carpet flooring, small dining area, and a private sit out balcony that overlooks the snow capped mountains view. 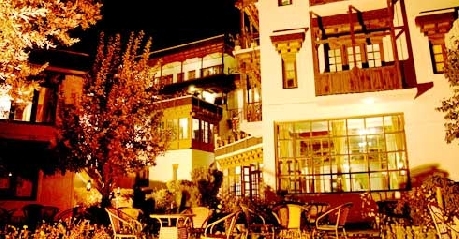 The in house multi cuisine restaurant is built in traditional Ladakhi styles and offers a sitting in the verandah as well as fine dining options. 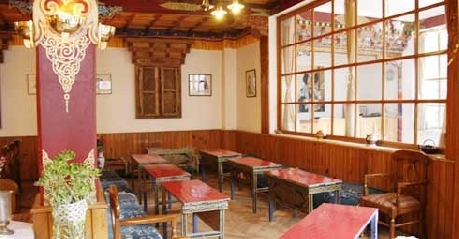 It offers mouth watering Ladakhi, Tibetan, Indian, Chinese and Continental cuisines. Admire the amazing views of the surrounding area.